In a recent Nature News article, The BALSA Group was highlighted as a "source of inspiration" for the creation of similar non-profit consulting companies around the United States. Three senior members, Allison Hoynes-O'Connor, Amelia Nguyen, and George Schweitzer were photographed for the project and former BALSA president, Shivam Shah, was interviewed as well. "The skills learned in the consulting game - management, leadership, and teamwork - would provide value to anyone...", said Shah. 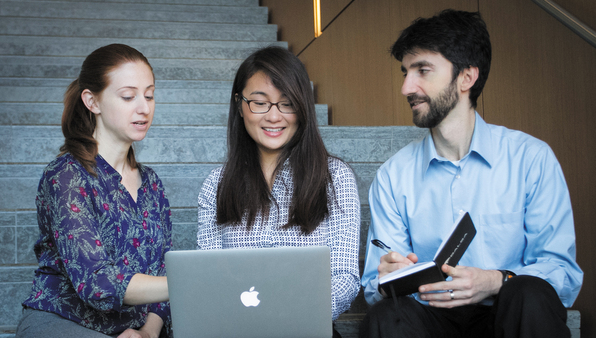 We are excited to see students and postdoctoral researchers at other institutions start consulting organizations. We have seen first-hand the benefits of assisting graduate students and post-docs in maximizing their analytical skills while providing opportunities for professional development, and wish to see these opportunities continue to propagate around the world.